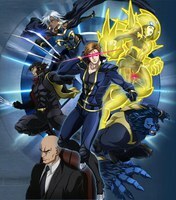 Plot Summary: The X-Men are a team of elite super-powered mutants gathered by Professor X to protect ordinary humans even as they are persecuted by them. In the wake of the death of one of their own, however, the team has stopped operations for a whole year. Then Professor X receives word of a mutant girl's mysterious disappearance in Japan. Sensing that something larger is afoot, he reassembles the team and sends them to investigate. They uncover a connection between her disappearance and an anti-mutant group known as the U-Men.